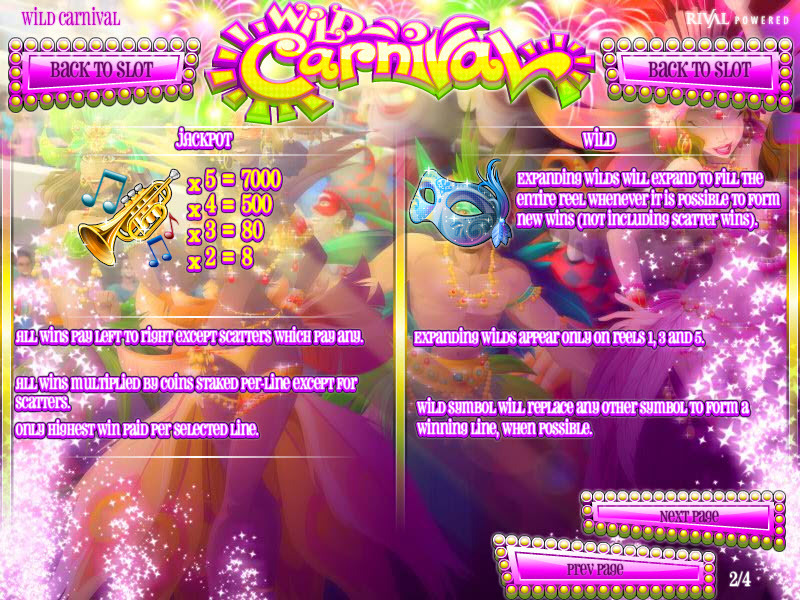 Overview: The biggest party of the year is here! 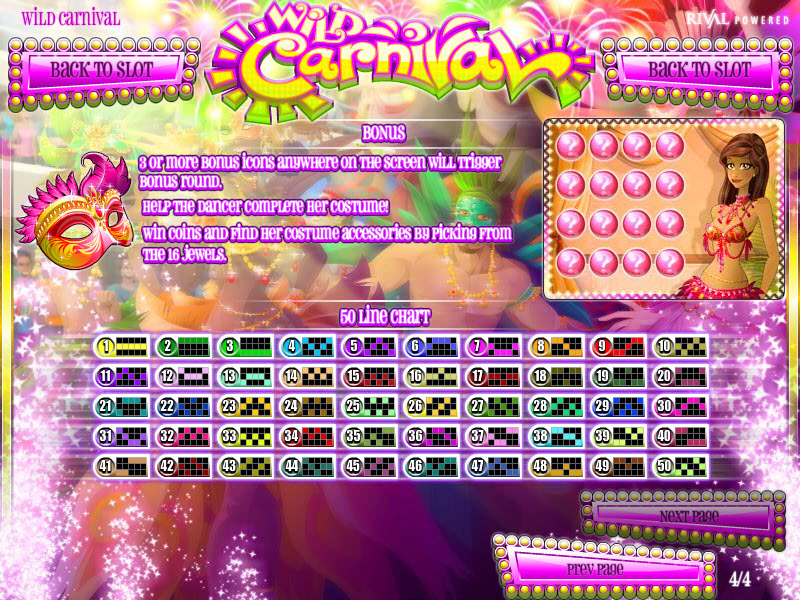 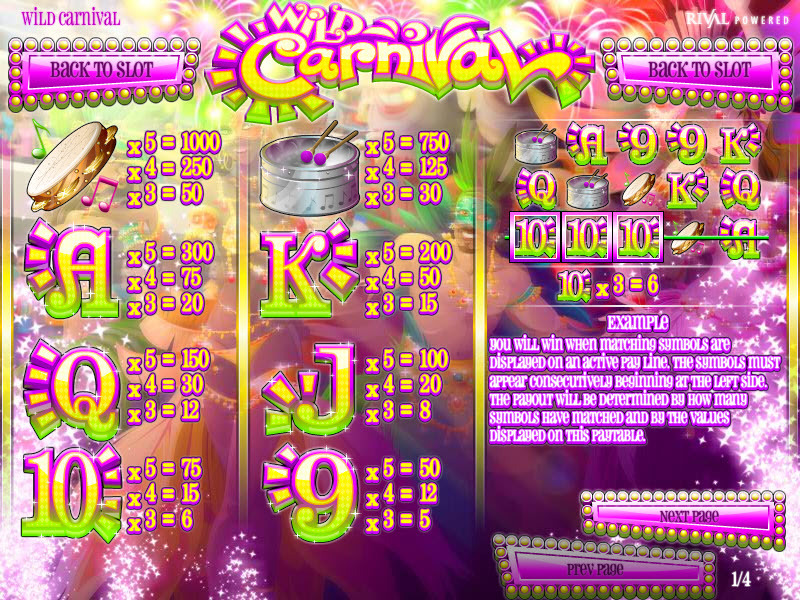 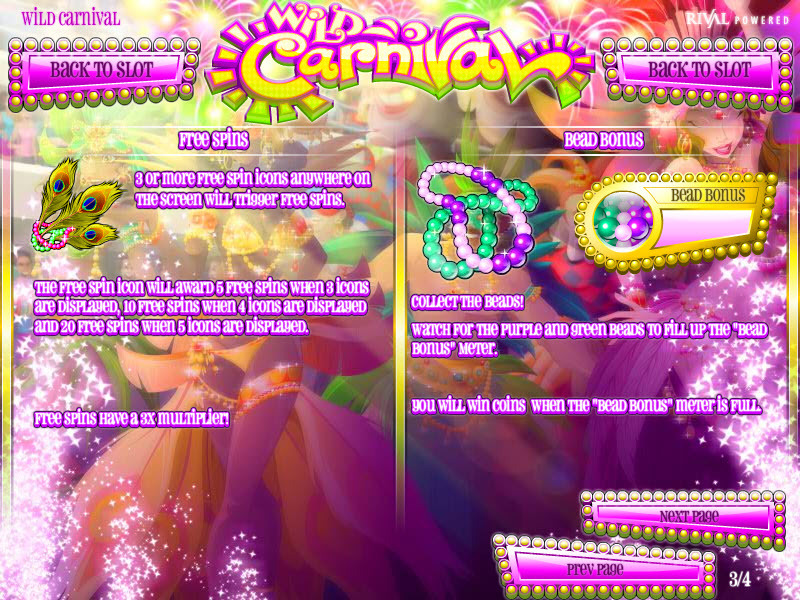 Join the parade with "Wild Carnival", Rival's latest 5 reel slot. 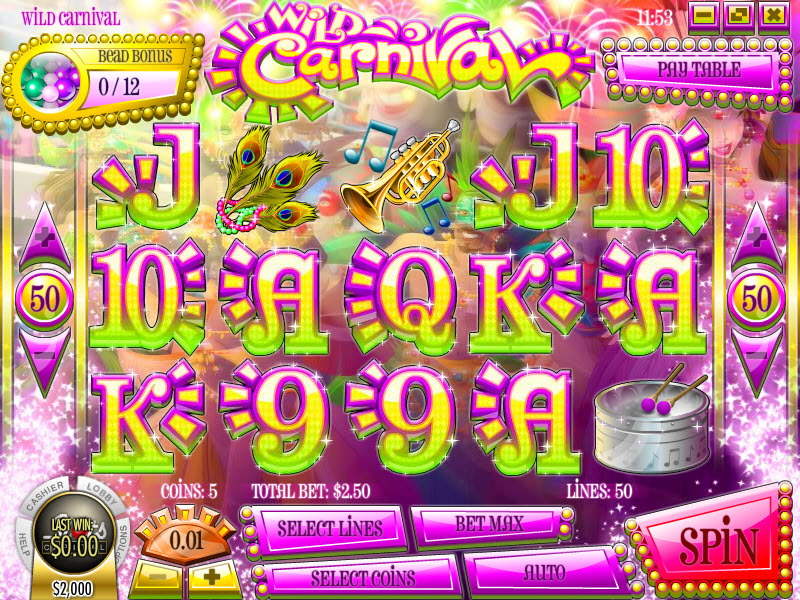 Similar Slots: If you like Wild Carnival, you might like these other Rival video slot machines: Fantasy Fortune, Grandma's Attic, Pub Crawlers, Vintage Vegas, Whale O' Winnings, Zombiezee Money.